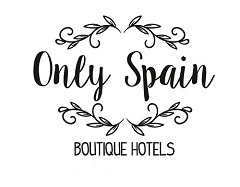 Complimenting our Spanish Boutique Hotel portfolio we also have a Trip Planning in Spain service. We work with you offering you advice or we can plan each detail of your trip for you. We live in and have explored Spain over the last twenty+ years in Jaen province, northern Andalucia. Would you like us to help you make the most of your holiday in Spain? As Trip Planners we help you to decide, not only where to go or to avoid, but also how long to spend in each of the places on your wish list & how to make the most of your time there. With our help, your wants and our knowledge and experience we’ll come up with an itinerary just for you and help ensure your trip is an experience to remember. Is food or visiting museums on your agenda? Maybe castles or flamenco are on your list. Perhaps you want to see some of Spain’s UNESCO heritage sites, there are over forty. Whatever your dream and interests we can help you with your planning. Do you want help with hotel and restaurant recommendations, trip ideas and private tour guides? You will make the right choices for your Spanish holiday with our help and guidance. Trip Planning in Spain Help? Just get in touch with us via contact the form below. Tell us about your proposed trip, your wants, likes and dislikes and let us help you and guide you through the trip planning process to make your holiday just as you’d want it to be – a great one. Contact us via the form below with for details on how we can help you plan your special Spanish holiday and we’ll be in touch with you asap. Why not make a date for a chat with Rachel now. Here’s the Calendly link to make a date right now. I’d love to connect with you to start planning your trip.